Brite Divinity School and Texas Christian University are independent institutions. They have a rich historical relationship and enjoy a shared heritage, affiliation, traditions, and values with the Christian Church (Disciples of Christ). Both institutions recognize the tangible and intangible benefits of a supportive and collaborative relationship especially in areas of teaching and scholarly programs. 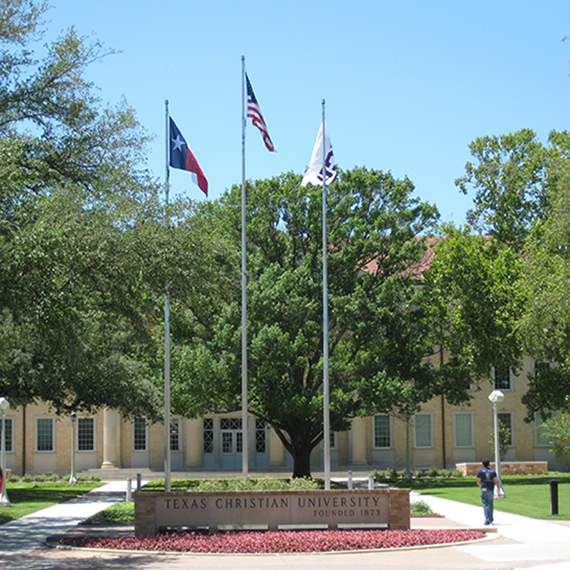 In 2010 Brite and TCU reaffirmed an agreement that articulates the University’s contractual commitment to provide essential administrative support, operational and maintenance services, and the vision of both institutions to assure a continuing spirit of mutual involvement, cooperation, and support for the benefit of students, staff, and faculty.